Math teacher turned programmer. Fell in love with Rust while listening to Steve Klabnik talk about its design choices. Eternally grateful for helpful compiler messages. Not tall enough to write multi-threaded code. I love Rust for its type-safety, its approach to memory management, and its helpful compiler messages. I currently use Rust in side projects, and I'm working towards getting Rust into use at work. I been using Rust both at work and as a hobby for a while now. Its an awesome project that makes it easy to learn and contribute, and improves really fast while remaining compliant with its principles. My primary professional language is Python, which I like for its flexibility and expressiveness, but I also enjoy using Rust because of its power and high-quality tooling. I'm a former CS professor. I've spent a lot of time inside its documentation, on the users forum and IRC. I'm almost celebrating my first year of Rust development. An enthusiastic programmer who enjoys to explore various aspects of the computer industry. Worked on areas ranging from ASIC & FPGA based hardware design to Software Development in softwares like ruby, C, C++, perl,scheme, common-lisp and rust. Using a mixture of C and Rust code at work for bare metal and linux embedded programming since mid 2017. Having done 10+ years of professional Java programming before. Also in love with Clojure, Haskell and functional programming in general. Rust is a revolutionary language that is growing and improving fast. I am proud to have been promoting Rust in my own company leading to incredible results. It covers low-level programming while offering high-level abstractions which for systems developers, it's a blessing. 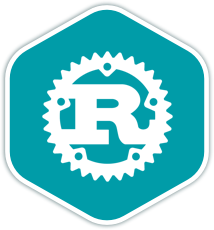 I'm a Rustacean since 5 years and member of the Rust project. I lead the events team and contirbute to the community team. I own a Rust company. I train Rust professionally, but still got a lot to learn. I use Rust professionally in my day job, as well as for some hobby projects. I like it for a lot of technical reasons, but most of all for the great community. I'm a physicist and hobbyist programmer. I've been a Rust enthusiast since shortly before 1.0. I love Rust for its speed and safety, its typesystem, clean design, cargo and overall focus on correctness that help me offload so much worry on the compiler. For me, Rust and Cryptography has been a perfect match. As I grow my own company, I plan on sticking with Rust and want to help encourage people to pick it up. I write mostly C# professionally, but I have a passion for functional programming and lately Rust. I look forward to helping you anyway I can! Rust brings an expressive type-system to low-level perfomance and portability. The WASM support ties in particularly well with web development where I spend most of my time and I'm excited to join others on this learning path. It didn't take long for rust to become my favorite language, and I want to help others learn it, and love it like I do! I've been coding in rust since 2013, and it's been amazing seeing the language change and evolve over time, and become better and better. Aim to use Rust and WebAssembly in my daily routines. Love Rust because of its passionate and welcoming community. Although rust does have a steeper learning curve than many other languages, once you understand it, it is a truly incredible language. I'm a former teacher, now an engineer at Pivotal. I'm passionate about learning new programming languages, and helping others learn. I'm PhD student at MIT CSAIL where I work on a research database written in Rust. I also do regular Rust live-coding streams. Rust core and infra team member; release team lead. Working on the compiler and related tooling.